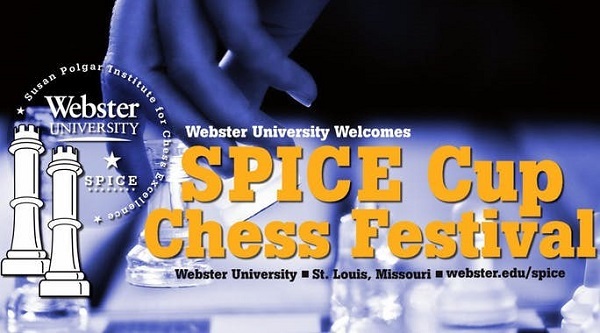 The ​2018 SPICE Cup Chess Open is taking place from 23-28th October at the Clayton Plaza Hotel in Saint Louis, Missouri, USA. The total prize fund is 16,550 USD and the event is sponsored by Webster University and the Susan Polgar Foundation. The tournament format is 9-round Swiss with the time control G/90 + 30 second increment from move 1 and it is possible to win GM/IM/WGM/WIM norms.